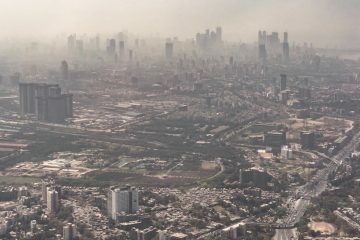 Remote storage, big data and the Internet of Things are often discussed separately, but together they’re the driving forces behind some of the globe’s most innovative smart city projects. Cities spend fortunes on infrastructure, energy and waste collection, which is why the global smart city industry – which has efficiency on its to-do list – is predicted to be worth $400 billion (around £260 billion, or AU$500 billion) by 2020. So it’s no surprise that cloud city projects are springing up across the globe, making use of networks of sensors to produce real-time data that will save money, time and resources. From street lights and communication through to waste collection and traffic monitoring, in this article we’ll examine six different smart city projects across the US and Europe. 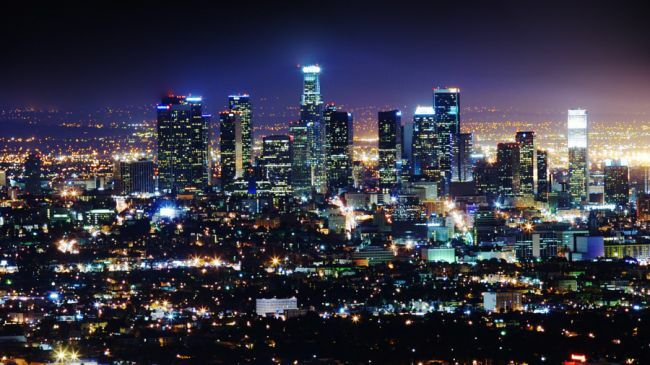 Tasked with making the city more walkable by its mayor, LA’s Bureau of Street Lighting has turned to mobile and cloud-based tech to control its 7,500 miles of streetlights. Using the Philips CityTouch lighting management software, the authorities can remotely control street lights, monitor their status, and accurately report how much energy each light is consuming. Each streetlight – whoever the manufacturer – has a mobile chip embedded, and can identify themselves on a network instantly. What’s more, they can do it securely through any mobile browsers. Though CityTouch is already in use in 31 countries, this is the first time it’s been used citywide. LA’s cloud control concept may be smart in name, but many think the proliferation of white LED bulbs at the expense of low pressure sodium bulbs across US and European cities has a hidden cost. The now-being-researched effects on insects and nocturnal wildlife of white LEDs could give them a short and expensive shelf-life. Sadly for wildlife, stargazers and astronomers, filtered versions (FLEDs) that filter out the damaging blue wavelengths are still a few years away from being either bright enough or economically viable, but have been recognised by a Nobel Prize. 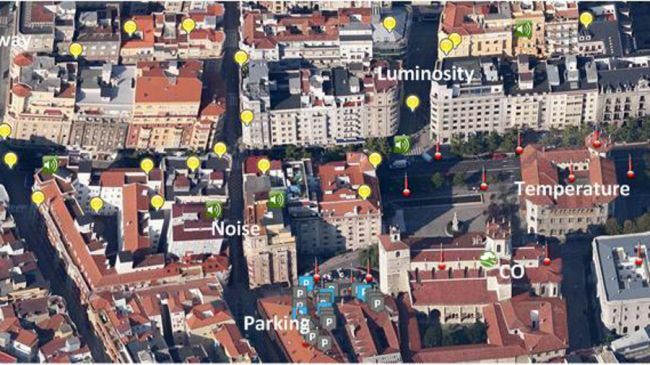 Every building and street lamp in this Spanish town has sensors measuring light, noise levels, carbon emission, humidity, pressure and temperature – 25,000 of them in total – which pour their data into a control centre via fibre or 3G. The roadsides are studded with magnetic sensors, which inform parking signage and report on traffic jams and road closures, while city buses have sensors so that everyone knows how late they’re running. All of this data informs a host of apps for the 180,000 people of Santander, which has become something of a model smart city. The city collects a lot of data to send to the cloud for analysis, taking in everything from smart parking, environmental monitoring and smart irrigation through to smart metering and traffic intensity monitoring. Financed by the European Commission’s Future Internet project, Santander uses a lot of tech from Telefónica, which also has smart city initiatives in Barcelona, Zaragoza, Malaga, Logroño, Seville and Valencia. 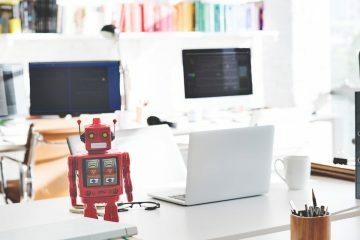 First there were call centres, but smart cities of the future look set to embrace TelePresence as the dominant way of achieving face-to-face meetings, instantly slashing the number of crosstown trips. Cisco has put its video screens into several smart urban projects, with Nice in the south of France the most recent. 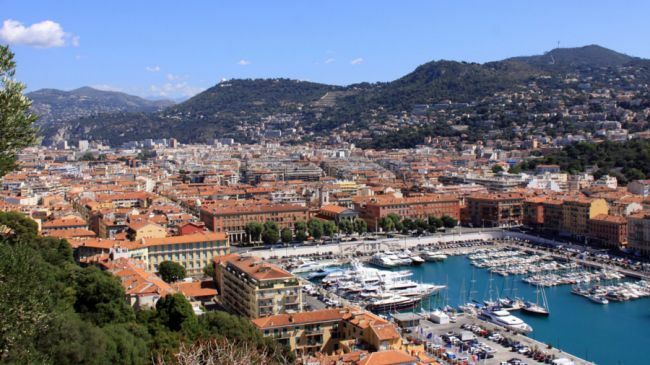 Here on the Côte d’Azur citizens can talk to the local council about paying fines, on-street parking permits or marriage certificates using a high-def TV screen and super-clear audio without ever going near city hall. Residents of Nice can speak directly with government officials face-to-face using a Cisco TelePresence device, but it’s not just chat. The system also includes a touchscreen for filling out forms, a camera and scanner to scan in documents and ID, and a printer for taking documents and permits away. The ‘Allo-Mairies’ (Hello-City Hall) cubicles have so far been installed in the heart of Nice on the ground level of the Nice-Etoile shopping mall. 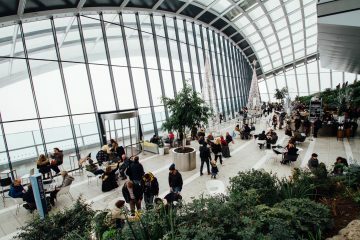 “Behind the Internet’s technological vision of objects, great achievements are possible for better city living,” says Robert Vassoyan, Director General of Cisco France. Sin City usually gets coverage in the tech press for one thing – namely CES – but in recent years it’s started to become something of a sci-fi hyper-structure. Not only is it possible to walk down most of The Strip without even encountering a road, but the mix of curated sidewalks and overpasses now have a cloud-powered street lighting system. However, this goes a little further than LA’s system of mere cloud control. Each LED light has a wireless dual-band mesh transceiver, but they also incorporate speakers, microphones and discrete displays. As well as drag-and-drop playlists coming from those speakers (if you thought Las Vegas was too loud last time you visited, you’ve not heard anything yet), you can actually talk to the streetlights; each one has an emergency call station embedded within it. Part of a system called Intellistreets, these lights can also display adverts and safety messages, and even record both images and audio from passers-by. Collecting rubbish costs millions – which is why councils slash collections during a recession – but the cloud can help. One such project is happening in Milton Keynes, where the city council is working with Indian IT company Tech Mahindra on an Internet of Things-connected waste management system to boost efficiency. “Waste bins with smart sensors send alerts to a central dashboard when they’re full,” says Upendra Dharmadikary, Vice President Global Transformations at Tech Mahindra. “The refuse collection trucks are then sent out on optimised routes according to which bins need to be emptied.” For now it’s a trial, though it’s hoped the system will be rolled out across the city within six months. 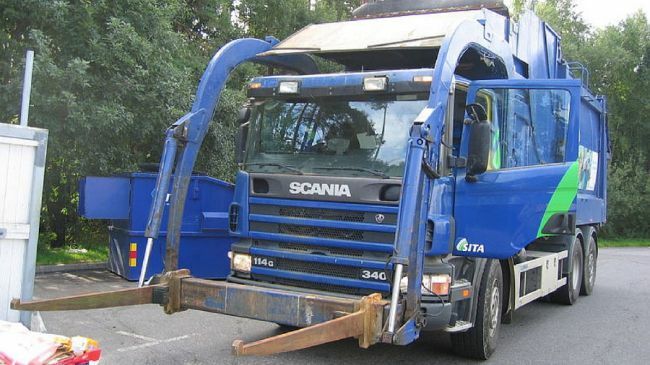 A similar project in Australia has seen refuse truck loads reduced by 27%. Other smart approaches to waste around the globe include automated and solar-powered compactor bins, RFID tags on bins that make pay-by-weight schemes easy to calculate – something already happening in South Korea – and offices with automated waste collection via pneumatic pipes. With data roaming charges remaining high, whether a hotel has free Wi-Fi is now the top deciding factor when it comes to how most of us choose where to stay on holiday, but what if entire cities could offer the same service? 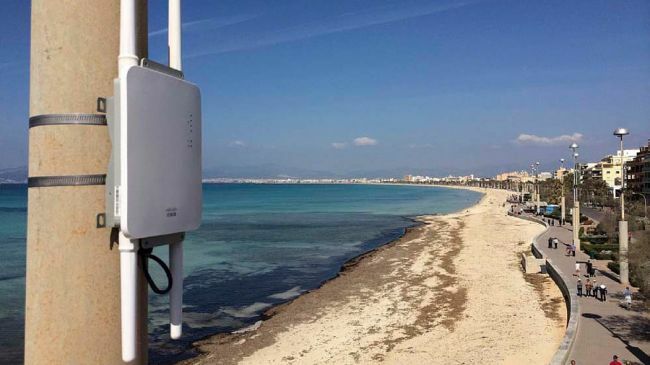 Wanting a leg-up on the competition, Playa de Palma in Mallorca – one of Europe’s busiest beaches with a million plus visitors every year – has recently installed a massive Wi-Fi zone that spreads over a colossal 5km of sand and surf. 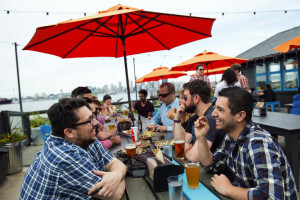 Using the Cisco Meraki cloud networking solution, the Playa de Palma Wi-Fi network has a web-based dashboard – each access point is connected either via Ethernet cable or through an automatic, self-configuring mesh network. “The complete planned installation will use more than 100 Meraki outdoor access points and several Meraki indoor 802.11n and 802.11ac access points,” says Mauricio Socias, CEO of MallorcaWiFi. Humidity, salt and heat-resistant access point equipment has been installed on 15m lampposts and buildings, with a huge expansion on the cards. “The latest features like location analytics and integration with Facebook are simply killer,” says Socias, who reports that 95% of the 25,000 unique daily users are tourists using smartphones – and now the tourism authorities and local businesses know exactly where they are. This feature is adopted from TechRadar.